All Rosaries feature Silver Oxidized Center & Crucifix. Attractively Gift Boxed. 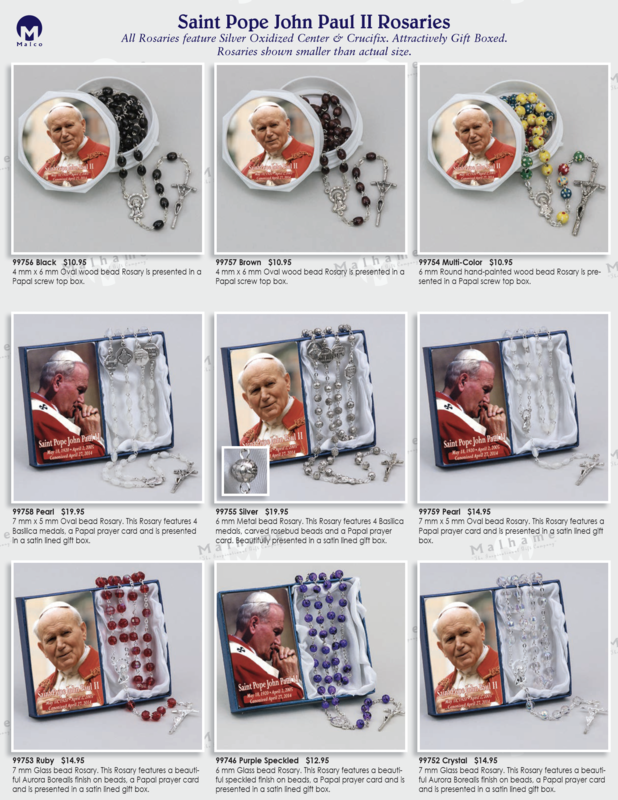 Rosaries shown smaller than actual size. in a Papal screw top box. in a satin lined gift box. card. Beautifully presented in a satin lined gift box. and is presented in a satin lined gift box.